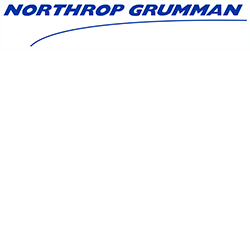 Northrop Grumman is a leading global security company providing innovative systems, products and solutions in autonomous systems, cyber, command, control, communications, computers, intelligence, surveillance and reconnaissance (C4ISR), strike and logistics and modernisation to government and commercial customers worldwide. Autonomous Systems - Northrop Grumman’s combination of Autonomous Systems underpins the advancement of Australia’s future Intelligence, Surveillance Reconnaissance (ISR) capabilities, while protecting regional economic interests and national security. Logistics - Northrop Grumman’s sustainment, modernisation and upgrade solutions enhance lifecycle affordability, flexibility and increased availability for Australian capabilities. C4ISR - Northrop Grumman is committed to working as a partner with the Australian Defence Force to realise its future force potential through developing integrated joint solutions utilising advanced command and control systems, communications, and world leading intelligence, surveillance and reconnaissance sensors. Cyber - Northrop Grumman continues to grow a powerful local capability in cyber services and related capabilities that have been employed operationally by a range of Government Departments and Agencies. Northrop Grumman’s Cyber and Intelligence Mission Solutions Division offers end-to-end development, deployment and integration of full spectrum cyber capabilities and enterprise ground system solutions. Northrop Grumman’s cyber security services offering is complemented by a thriving product development practice, focusing on the award-winning Secure Communications System and secure mobility solutions. Space Systems designs, develops, manufactures and integrates spacecraft systems, subsystems, sensors and communications payloads in support of space science and C4ISR. Our expertise and capabilities include complex digital space payloads, classified system integration, dedicated Gallium nitride and Indium phosphide semiconductor fabrication, application specific integrated circuit and field programmable gate array design, and high speed radio frequency and laser communications space ground and space links. Northrop Grumman has a significant and growing industrial footprint in Australia underpinned by a growing workforce and works with a range of high technology small to medium sized Australian companies. Our vision is to grow Northrop Grumman’s indigenous capabilities further to support the Australian Defence Force. We also provide access for Australian companies to our Global Supply Chain, helping to build local capability to compete in the global defence and security market. Northrop Grumman understands that quality education is vital to the future success of our nation, and is investing in a number of Science, Technology, Engineering and Mathematics (STEM) programs and organisations. Northrop Grumman also supports research and development in advanced technologies across a wide range of educational institutions in Australia including leading universities.